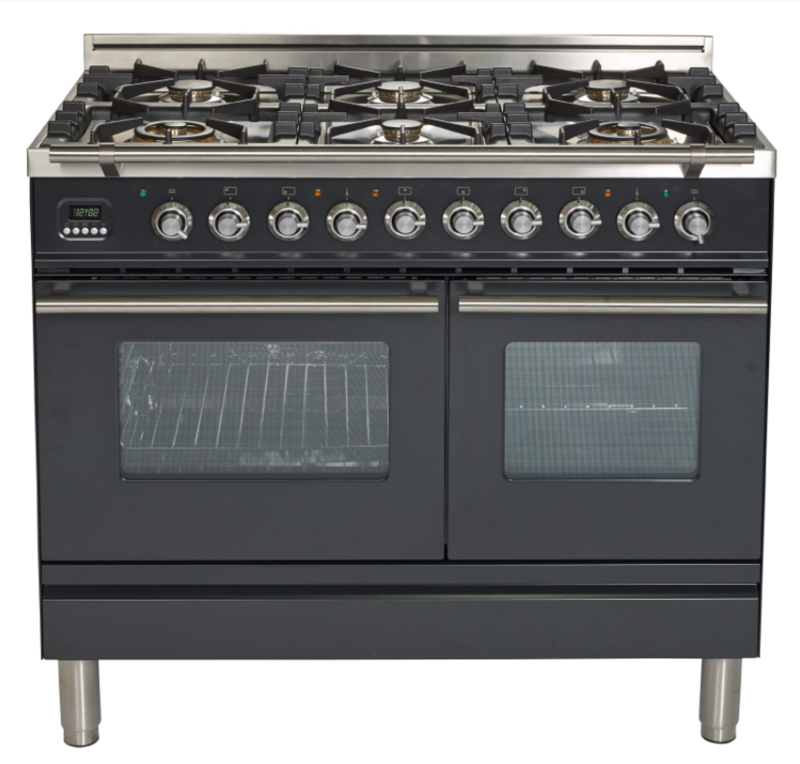 ILVE introduces the Pro Series to their line of free-standing dual fuel ranges. 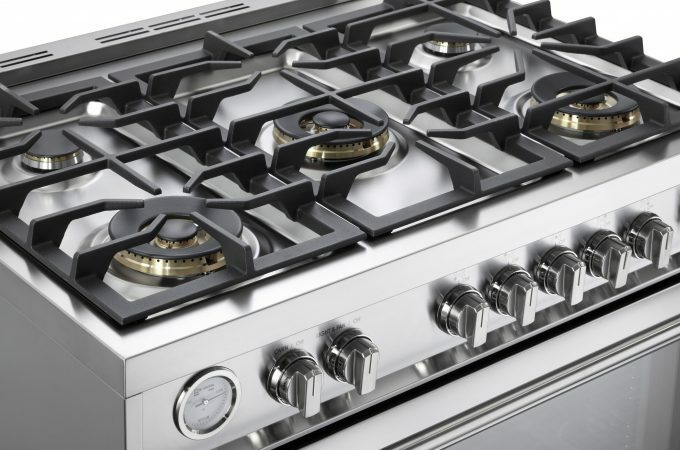 A sleek, modern design and a sharp price point matched with ILVE’s superior quality ensure that this is no ordinary kitchen appliance. 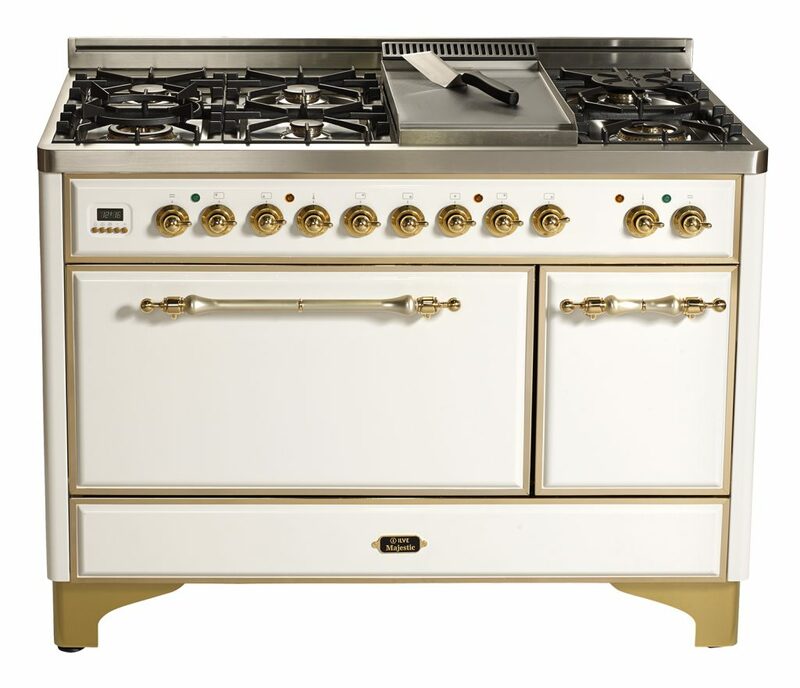 The new line flaunts chef quality features including a removable griddle, high BTU brass burners and a built-in warm drawer to keep cooked food at an ideal temperature for serving. 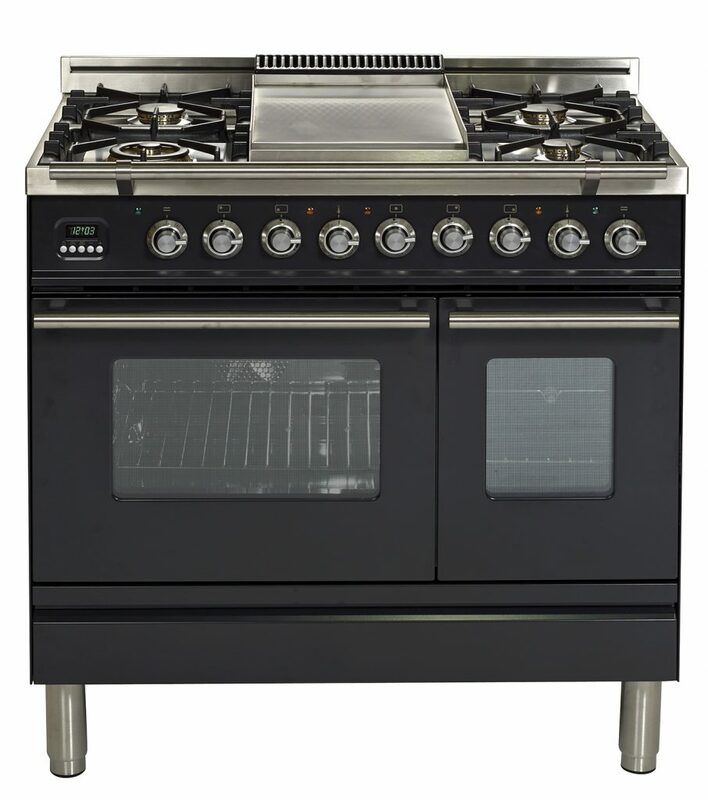 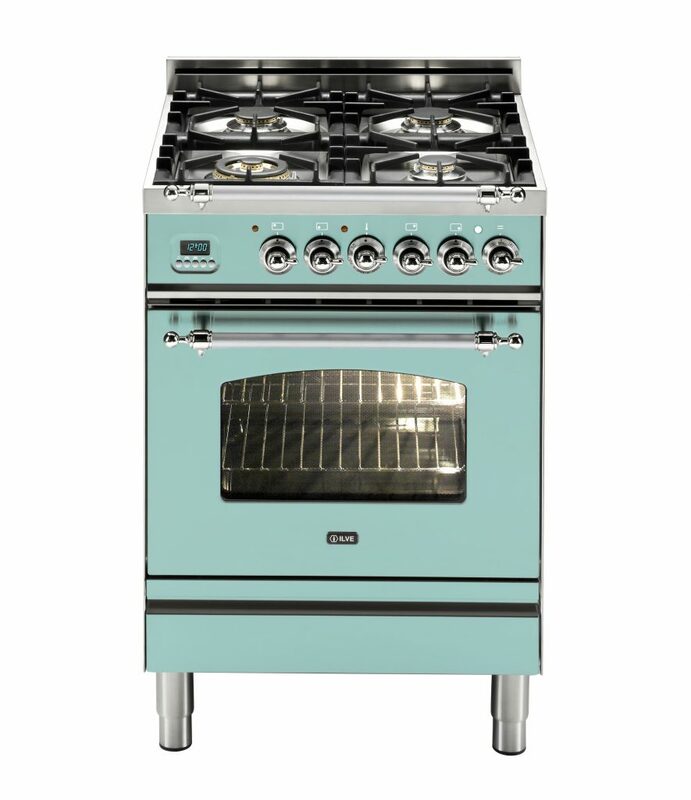 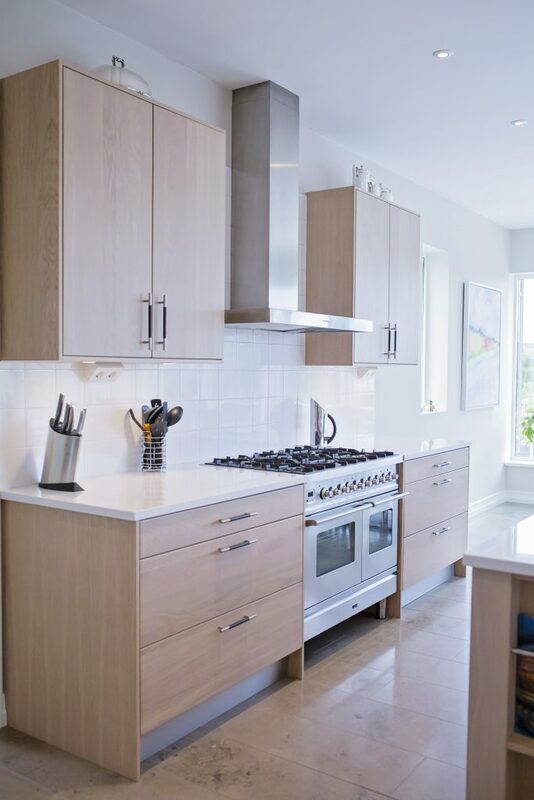 The ILVE Pro series is available in a 36” single or unique double oven configuration as well as an exclusive 40” & 48” size with double ovens. 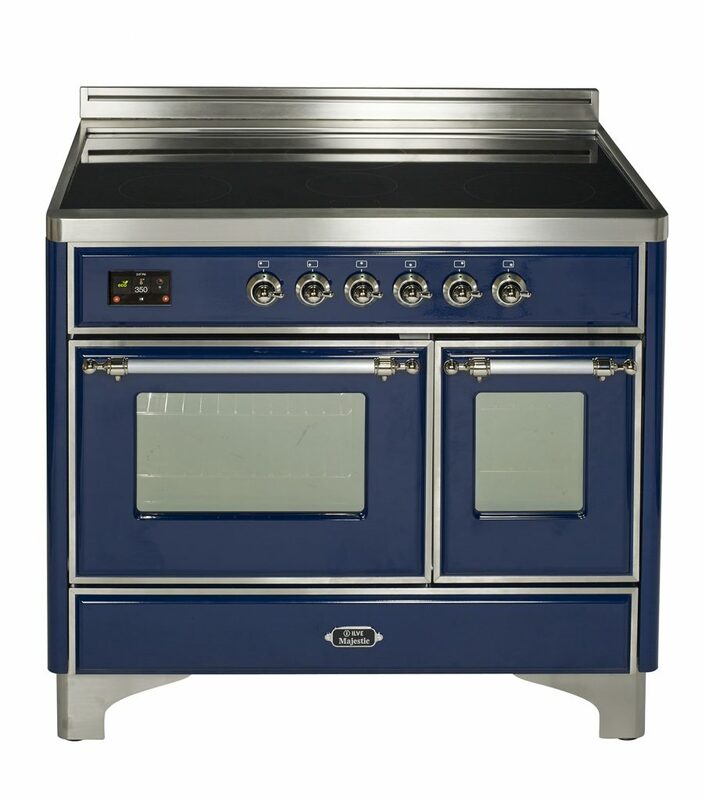 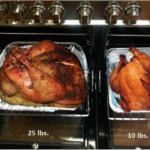 The electric ovens feature multi-function cooking options and built-in rotisserie accessories for a truly professional-style cooking experience. 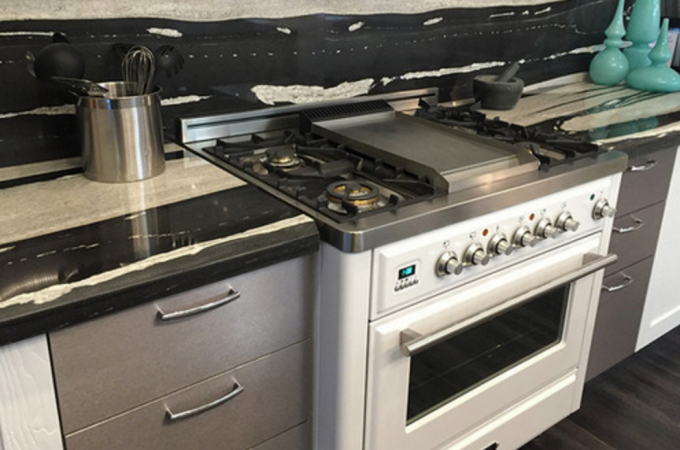 The triple pane glass doors ensure the outside of the oven doors maintain a safer to touch temperature while effectively trapping heat to conserve more energy. 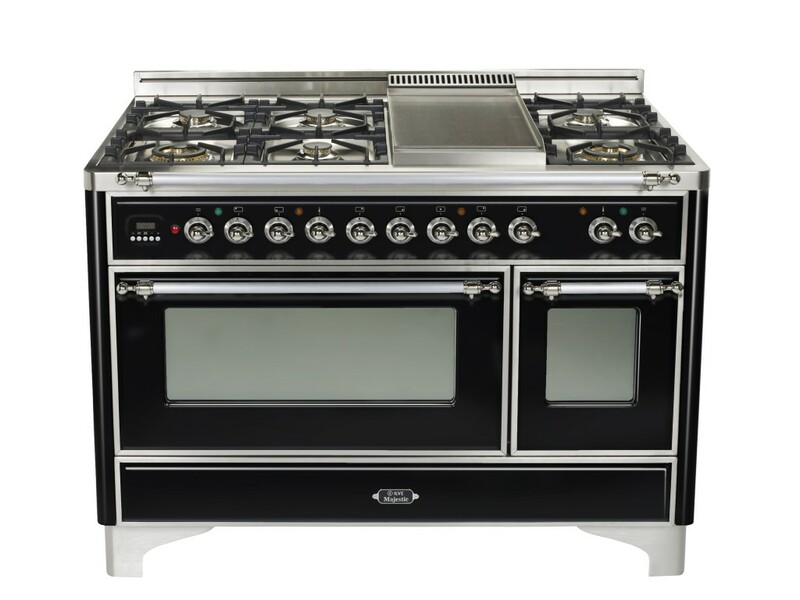 Offered in two colors, stainless steel & matte graphite, the Pro Series features spindle legs, tubular style knobs and handles and a digital clock and timer.